“Raw” and “donut” are not typically 2 words that go together in my world. But I was so smitten with the idea – and the stunning photos from Em at This Rawsome Vegan Life – that I just had to give these a try. It didn’t hurt that I had all of the ingredients on-hand, and that the entire process (less the hands-off chill time) took about 10 minutes. You will never confuse these with “munchkins”, for sure. That said, I was VERY surprised at how much more “doughnut-like” they were than I thought they’d be. 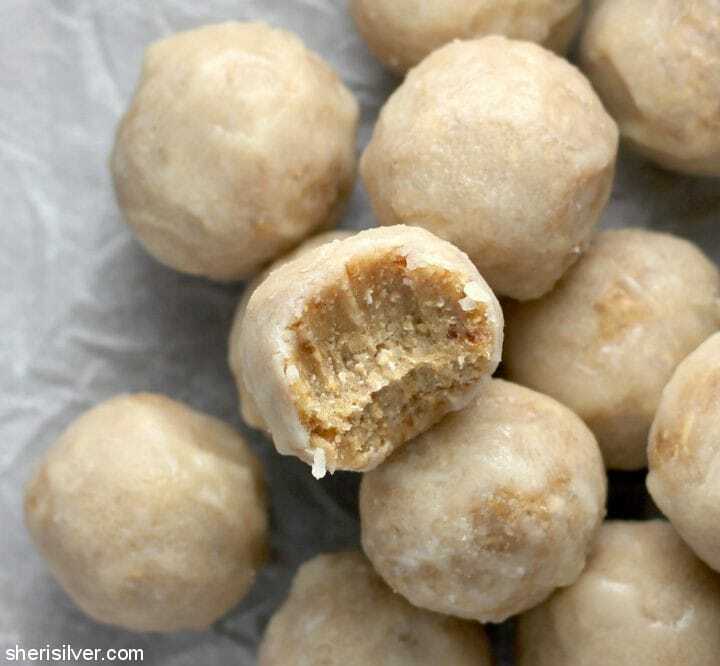 I’ve done enough balls, bites and bars to say that – while the shapes and ingredients may change – most of these types of raw treats tend to taste somewhat the same. But these? They were quite tasty, satisfyingly sweet, and there was zero bloated, sluggish “after-effect” that I find often occurs when I indulge. And you KNOW I indulge. And if you’re looking to start incorporating more dairy-, sugar- and gluten-free foods into your diet, snacks like these are a great place to start. 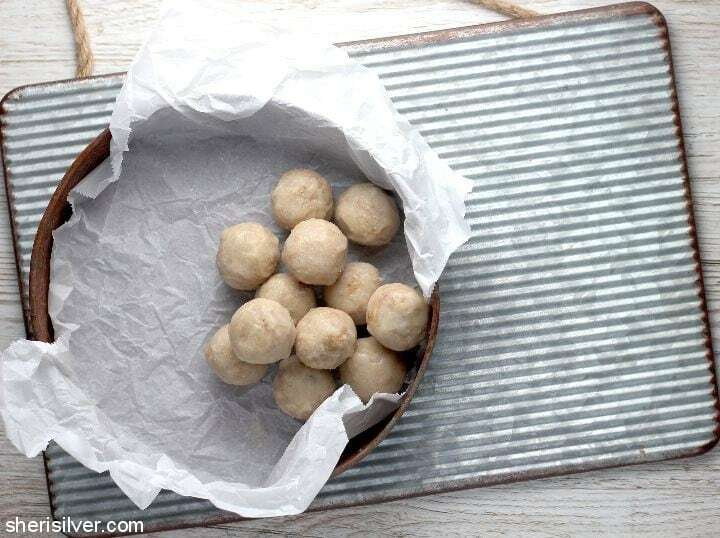 Line a baking sheet with waxed paper, foil or parchment paper. Process the oats, cashews, dates, salt and vanilla in a food processor till thick and smooth. Use a tablespoon or cookie scoop to scoop onto your baking sheet. 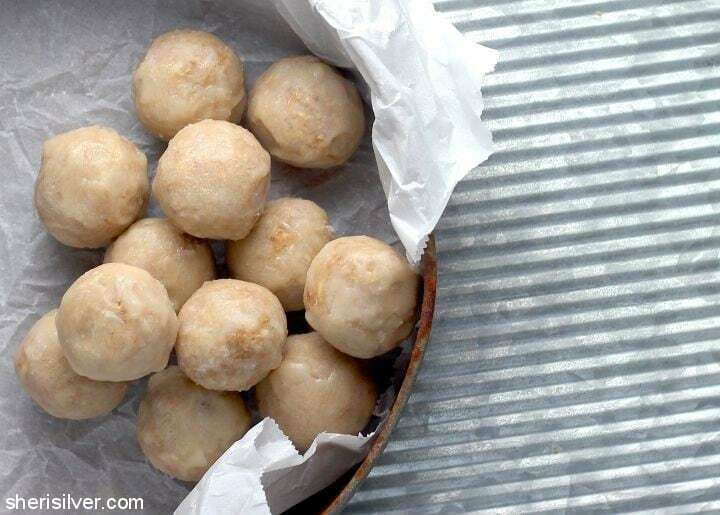 Use slightly damp hands to shape into balls and freeze till firm. Place the donuts on a wire rack and put the rack atop your baking sheet. Melt the coconut oil in a heatproof bowl or cup (I used a Pyrex measuring cup and my microwave). Whisk in the maple syrup and keep whisking till glaze thickens (this will happen as the coconut oil cools). Dip the donuts into the glaze, allowing the excess to drip off, and return to the wire rack. Freeze for a few minutes to set the glaze, then repeat dipping 2 – 3 more times. Store in the fridge in an airtight container. 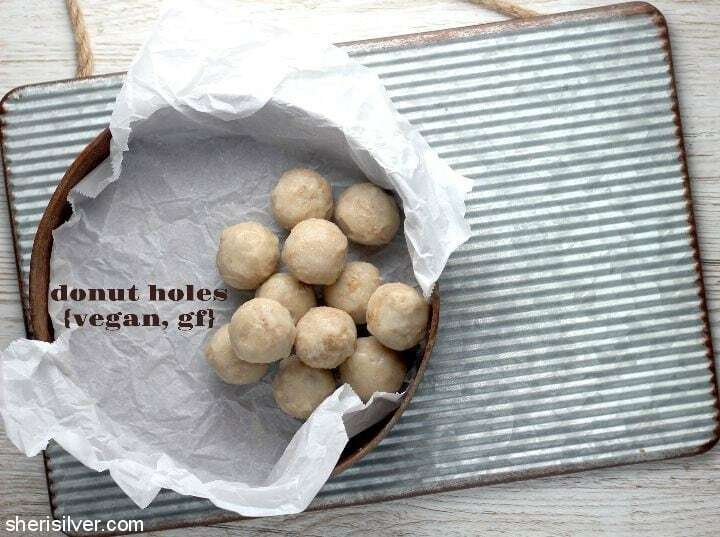 More vegan recipes, gluten-free ideas, balls/bites/bars and my favorite snacks on Pinterest!